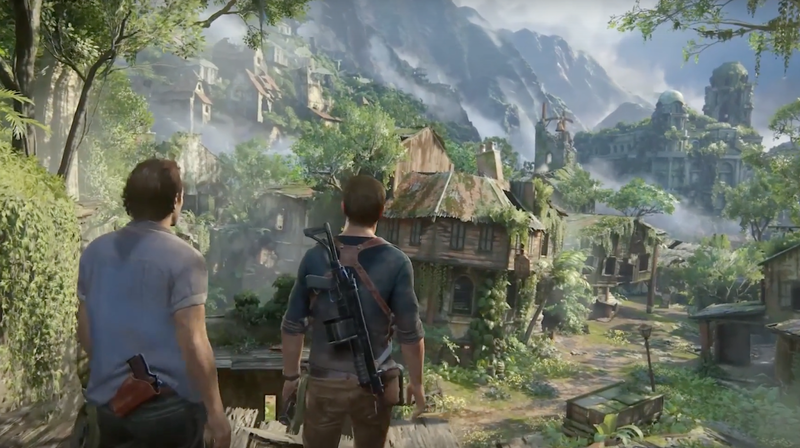 This video game is mainly centered around the character, Nathan Drake. As the chapters unfold, we get to alternate between Nathan as a reckless teen and more responsible adult (well, at least slightly more responsible!) 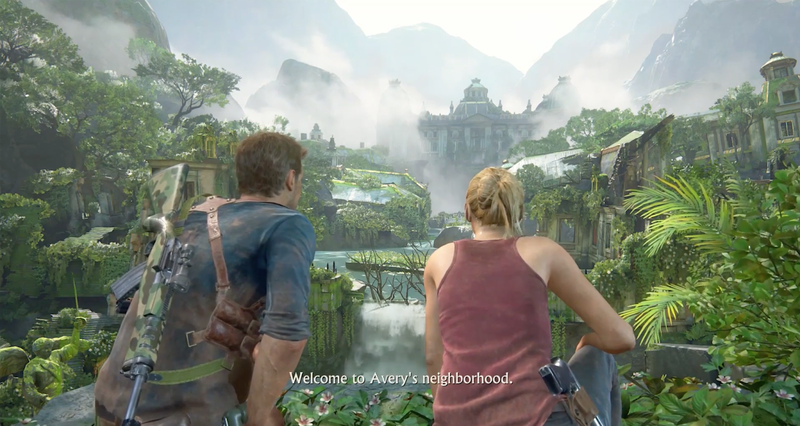 What the game truly focuses on is the relationship between Nathan and his older brother, Samuel. Parentless, Nathan looks up to his brother as a father figure, especially when Sam helps him escape from the misery of a strictly religious and secluded orphanage. 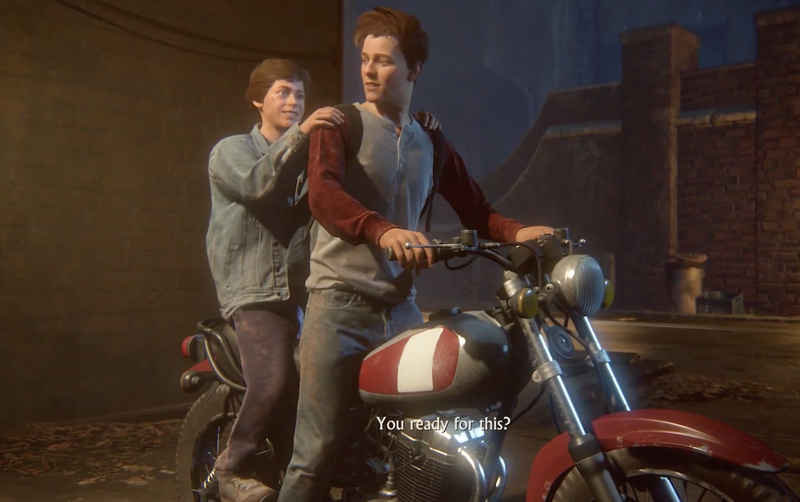 Once reunited, the boys are able to find their mother's abandoned house and discover her classified journal full of secret explorations and discoveries. Sam enlightens Nate with the dream of one day finishing the greatest discovery their mother had ever sought - the hidden treasure of notorious pirate, Henry Avery. Inspired by Sir Francis Drake's quote, "Sic Parvis Magna" - the evolution of greatness from small beginnings, the two brothers drop their former family name and become known as Nathan and Samuel Drake, the greatest explorers of their time. In the beginning, we learn how the brothers have ventured to the Panama prison, the location where Avery's first mate was hanged and therefore capable of holding possible clues to finding the treasure. The trip is cut short when a third companion and greedy treasure hunter, Rafe, kills one of the prison guards and puts the two brothers in harm's way. Shot in the back by one of the guards, Sam tragically falls off the side of a building and leaves his brother Nate to flee without him. 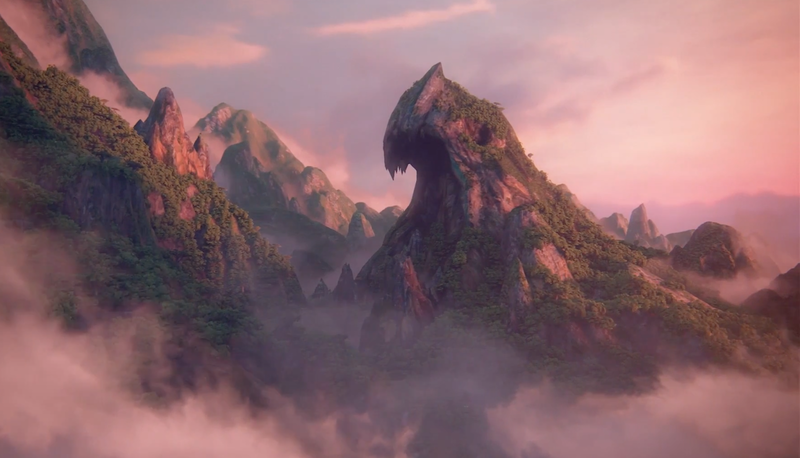 Nate finds no motivation in completing the quest without his brother so he decides to embark on other ancient explorations before eventually settling down with a woman who shares the same passion for adventure. Completely amazed and relieved, Nate agrees to continue the treasure hunt with his brother, mainly because of the supposed death threat that is imposed on Sam if he does not deliver half of the treasure to the person who helped him escape the Panama prison within 3 months time... How's that for a run-on sentence? Nate is certainly disappointed with his brother for playing him the fool but he surprisingly doesn't explode with frustration. Even when Sam rejects his proposal to get off Avery's treasure island before running into the danger of Rafe's armed forces, Nate stays true to supporting his brother no matter how far out his dreams are. 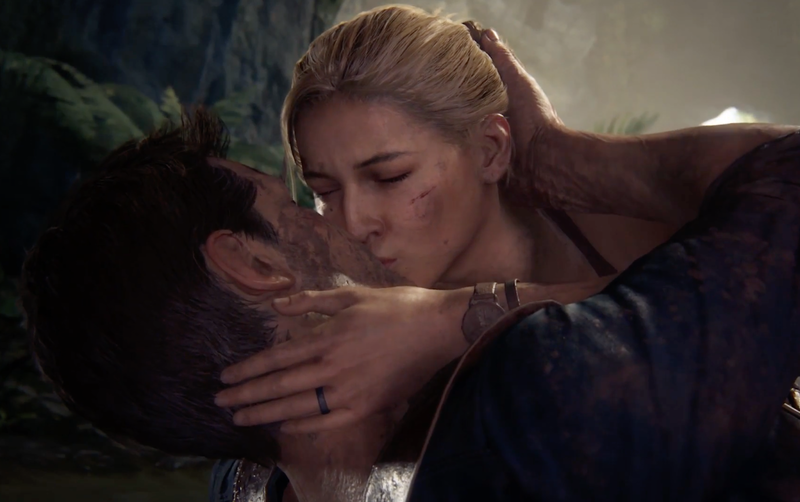 When the final moment that every gamer has been waiting for since the start of the game - the revealing of Avery's treasure - has arrived, Nate dramatically fights off Rafe and is able to help Sam escape from Avery's ship before it explodes into smithereens. So the terrible villain has perished and the two brothers have witnessed the greatest discovery of all time without a missing limb or two! Huzzah! As you all know, I've only just dove into the incredibly intricate world of gaming. 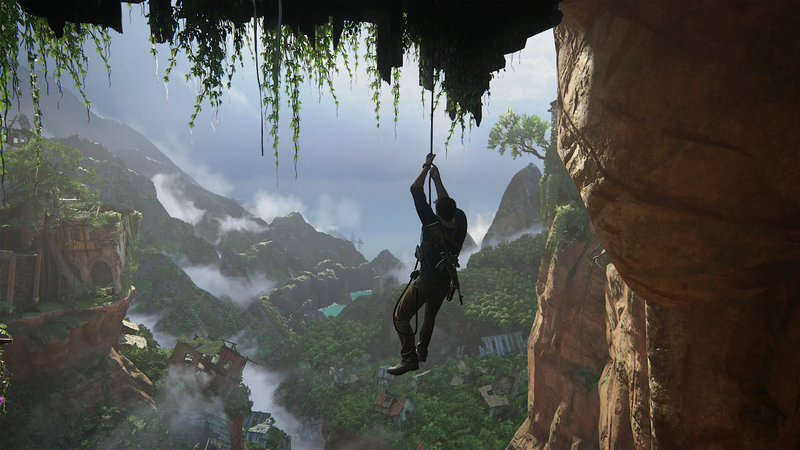 Nonetheless, I can confidently say that "Uncharted 4" was an incredible adventure to experience. 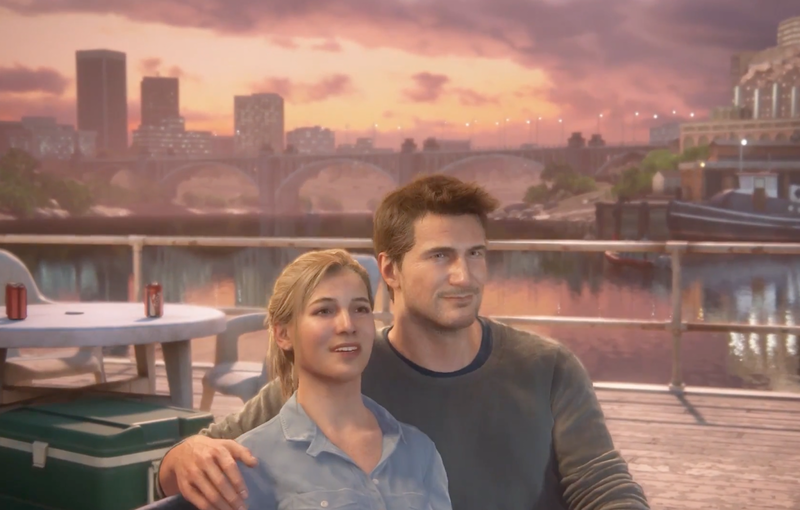 I appreciated the moments of calm in-between the intense shoot-outs, the funny one-liners, the heartfelt connection between the two brothers and the satisfying conclusion in the epilogue. 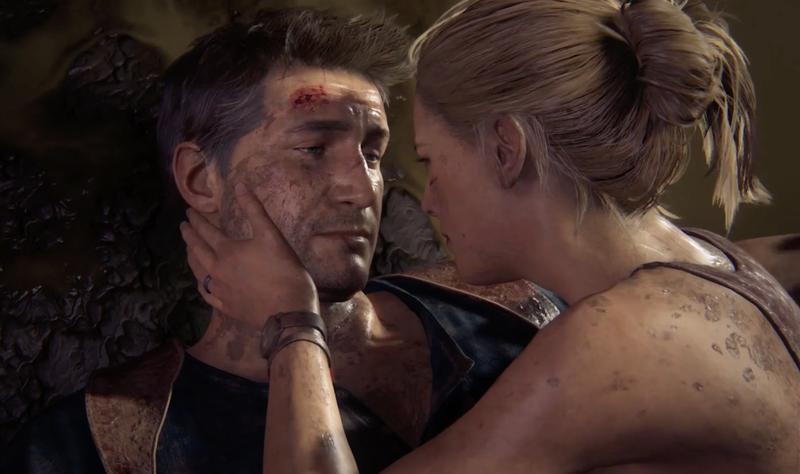 I also have watched some clips of the past Uncharted games and enjoyed seeing the relationship between Nate and Elena. As they started to go on more adventures together, they learned that their passion for exploring and their trust in one another is what would help keep their relationship strong. 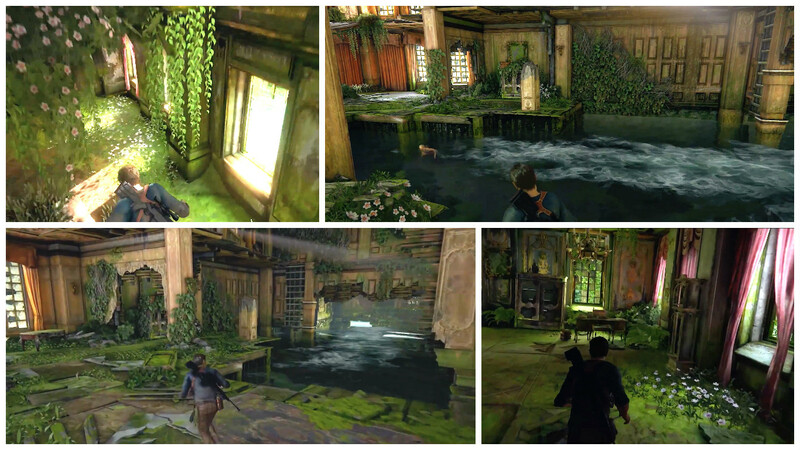 I also found myself obsessing over the overgrown flowers throughout the broken-down houses in Avery's city! I wouldn't mind having the house of my dreams over-flooded with flowers or running water passages, that is if I could escape the decay and drainage issues! Before the two brothers part ways, I especially like what Sam has to say about the treasure hunt. Sam - "I just kind of... thought that after we found Avery's treasure, I'd be... satisfied? Instead, I've kinda left with this strange feeling of..."
Nate concludes with the knowledge that at the end of any great adventure, you're always left with that same feeling, so sometimes you have to "choose what you're going to keep and what you're going to let go. " An important lesson I believe we should all keep in mind when looking for bigger and bigger things to satisfy our ever-stretching wants and needs! Nate - "Sam, we've come far..." Sam - "We sure have, little brother." 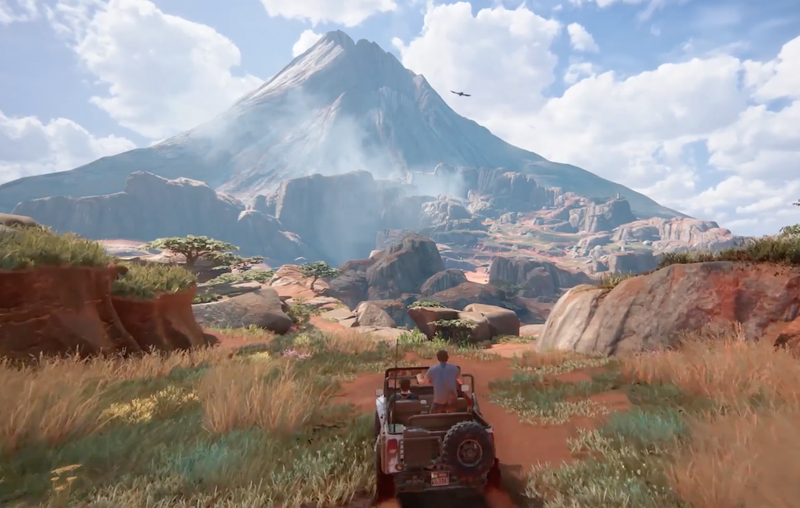 What did you think about "Uncharted 4"? Did it exceed your expectations? Did it successfully conclude the game series? Leave some of your thoughts down below!